The Winter Tanners is a challenge walk (or run) of circa 30 miles (or 20 miles) on Surrey footpaths and bridleways with MINIMAL support in weather conditions which may be adverse. Only strong and self-reliant walkers and runners should enter. The event normally takes place on the third Sunday in January and, being a winter event, can be subject to the vagaries of winter weather. It does not follow a marked route. It is a cross country event in which you need to follow a detailed route description and you might well need map-reading skills if you go off route. Should the need arise then any changes to the event will be posted on this site and emailed to the email address given during the on-line entry process. Essential final details are now available at WT19_Entrant_Information. This years event will again use our venue close to Leatherhead town centre (TQ160564, KT22 7BA), with car-parking for the start/finish. Full details of this together with other important information appear in the WT19_Entrant_Information. When parking please follow the directions of the car-parking marshals. Footwear & clothing suitable for a winter cross country event. Landranger 187 or Explorer 145&146, a mobile phone and a compass & torch if likely to finish after 1630. The full requirements appear in the conditions of entry. New each year the route is devised by John Westcott and Mary Dee. Please ensure that you print off a copy of the route description before coming to the event as copies will not be available at the start. *GPX files are provided as support only. The definitive descriptor of the routes remains the written Route Description. 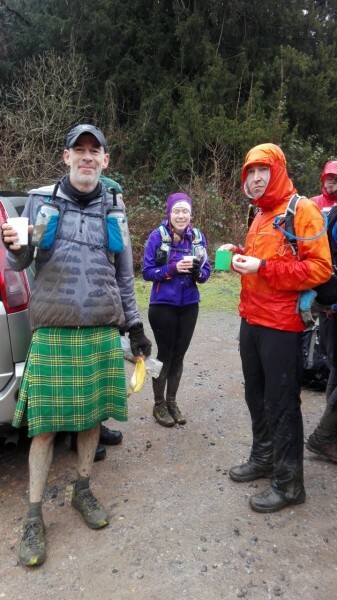 There will be 2 checkpoints on the 20 mile route & 3 on the 30 mile route each providing drinks & biscuits. Participants are advised to carry spare food/drink. There will be a numbers check following the 20/30 mile split. Please bring your own mug. Note that if you arrive at a checkpoint before its scheduled opening time you will need to wait. Entry is on-line only (postal/SEF entries are not accepted) and opens on October 1st with an event limit of 500. Positively no entries on the day. Entry fee for LDWA members (Individual and Family only) is £10 and for non-members £26*. Our events are open to entrants aged 18 or over. Parents/guardians of those below this age are requested to contact the organiser to discuss their entry. Under 18s MUST be accompanied by an adult during the event. From Oct 1st you can enter here (Fabian4)**. Entries close on Tuesday 15th January 2019 (but significantly earlier if the event and waiting list become full). If you find you cannot use your place withdrawing will enable a waiting list entrant to enjoy the event. Entrants may withdraw up until midnight on Thursday 10th January 2019 by emailing support@fabian4.co.uk. A refund of the entry fee will be issued, minus the standard Fabian4 refund processing charges. No refunds after this cut off. There will be a limited waiting list to which potential entrants above the 500 entrant limit will be added by their making an entry in the normal way. No entry charge will be debited until a waiting list place is offered and accepted (be prepared to respond quickly after January 10th). **Note that LDWA membership details are checked at entry. Please ensure you enter your details correctly. If you receive an error message then carefully read what it suggests. If you are unsure of your membership details then logon to LDWA Membership to check what the LDWA has on record. If you can’t logon then please email the LDWA Membership Secretary for assistance - NOT the event organiser. You are reminded of the 'no substitutions'condition; if your name does not appear on the entry list then you are not eligible to take part. You cannot transfer your entry to someone else. *Why not join the LDWA (£15 for a year) and enter this and all LDWA events at member rates. As a member you will also receive a copy of our Strider publication plus many other benefits. The on-line entry system will also give the opportunity to make a voluntary charitable donation to the National Trust, much of whose property is used for the event. By entering the event you agree to the conditions of entry. Please do read these conditions carefully (they includes safety information), don’t just tick the box when you enter, We want to ensure that we minimise the risks on this tough winter event and all walkers and runners must be aware of their responsibilities as entrants and the requirements that may be checked before they are allowed to start the event. Entrants data will be stored on a computer (in accordance with LDWA national data protection guidelines) and used solely for the purposes of LDWA and this event and will not be shared with anyone else. By default entrant names will be published on the results pages unless, in making your entry, you ask for your identity to be withheld. Dogs are welcome on this event but entrants must, in accord with LDWA national guidelines, provide details of their third party insurance cover and register their dog at the start (see conditions of entry). Supporters and friends can follow the progress of (up to 10) selected participants at Public Results by selecting 'follow participants'. If you have supporters on the event you should ask them to bookmark this location on their smarthphone/tablets prior to leaving home. Please ask them to respect the task of the timekeepers and to refer to the Public Results for information about you. The Winter Tanners is organised by Richard Ireson on behalf of the Surrey Group. We can only run this event if we have sufficient marshals volunteering to help. If you (or your partners/friends) would like to marshal please contact Richard (above). It would be much appreciated by our entrants. 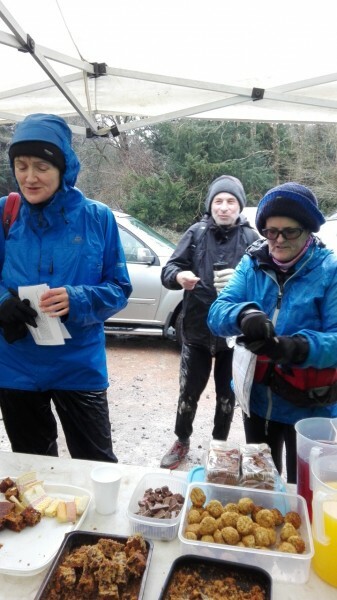 Marshalling does not mean you have to miss out on the event; there will be a marshals’ walks of the 20 mile and 30 mile routes on Saturday 12th January 2019 (with qualifying certificate). This is only for those helping with the event.